“Modern” has never been you. Sure, you may enjoy the current conveniences, but when it comes to design, you don’t find the contemporary look appealing. You’re an old soul. Maybe you want to recreate the care-free days of your youth or you’re really into an even further bygone era that you wish to emulate. 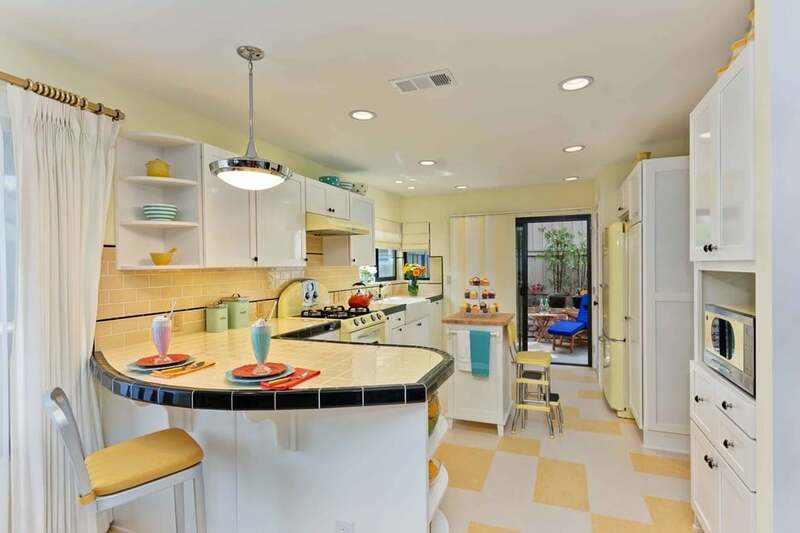 Whether it’s the Roaring Twenties, the Fabulous Fifties, the Awesome Eighties, or a colorful mishmash of them all, you can have a lot of fun styling your kitchen after past designs. In the online era of instant gratification, locating vintage lighting has never been easier. No matter what the decade, you will find a wealth of representative hardware to choose from. Sometimes you can have it mailed directly to you, or you may drive to a local shop and check out your prospective purchases if person. If you live in an older home and know what year it was built, you could seek era-appropriate lighting for a truly authentic theme. Choose glass front cabinets or open shelving to tastefully display vintage kitchen wares such as utility tins, old tea kettles, or home style kitchen scales for maximum effect. Use the visible storage practically as well to hold your standard dinnerware accessories. Collect and display antique knick-knacks on shelves to further enhance the old charm. Want to go for a really old look, one with genuine rustic appeal? Switching out a solid pantry door with a screened one is an easy way to make your cabinets appear to be of authentic vintage. 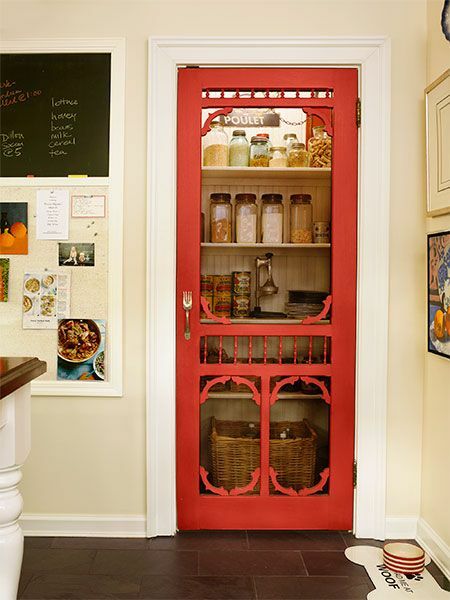 Do you have a kitchen door that opens to the outside? Install a matching screen door for a cohesive look that serves to complete the classic theme. Even if your home is new and doesn’t really accommodate the vintage look, you can change its style simply by choosing the right accessories. Search through years of cabinet pulls and knobs and find just the one you’re looking for. For a sure-fire classic look, glass knobs will do the trick. Or perhaps the tarnished silver or gold cup pulls of the 50’s is more your style. Pick a decade, there are accessories that emulate its design! Always popular for their style and workhouse durability, vintage stoves are a really cool way of creating an authentic representation of the past. However, when going this route be aware that any really old oven needs to be refurbished in order to meet current specifications. Luckily, there are companies that do just that and finding a working original is not as hard as you’d think. Hop online and do a web search for vintage tablecloths. This should inspire some great color combo ideas you might not have thought of. 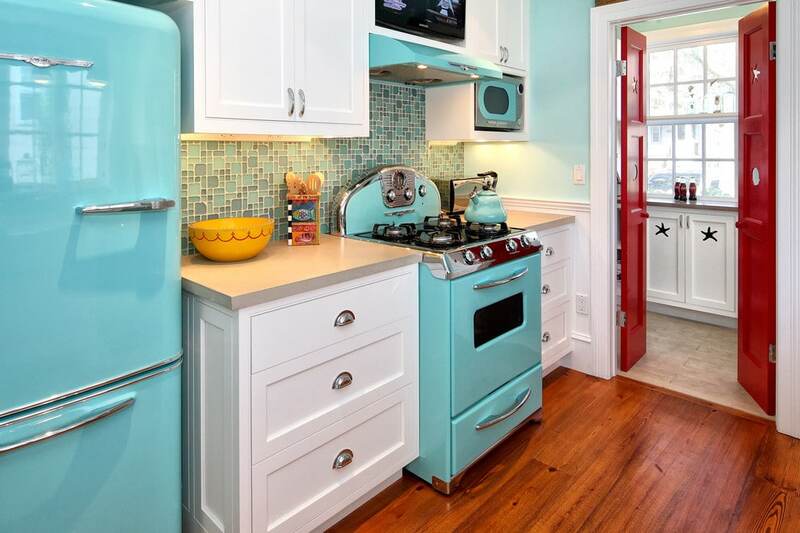 For instance, you can combine bright reds and blues like a 50’s homemaker, or go the pastel route for a home bakery vibe. 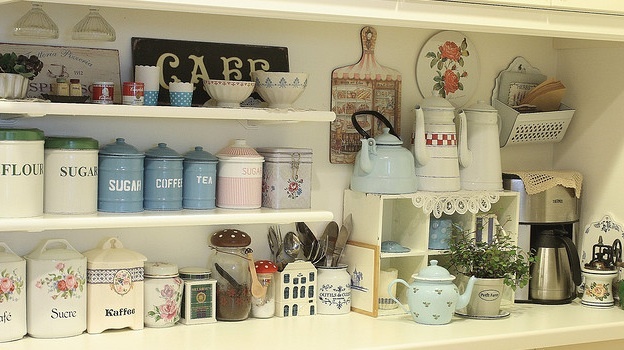 Meanwhile, use colorful vintage accessories to bring a greater sense of warmth to the kitchen. Durable and affordable laminate counters and rounded aluminum edging were a common trait in 1950s homes and diners. Add a linoleum checkerboard floor and you are creating a haven of ‘happy days’ vibes. The vintage look has become so desirable they actually “distress’ new furniture to give it an older appearance. It sounds crazy, but the fact is, it looks great. A truly old and worn table has plenty of character. Find one in an antique store. Throw in a few beaten vintage tins and utensils to display and you’ll be adding to the already-antique heavy charm. Vintage linen towels have a style all their own. They immediately transport you to a bygone time. Use them as skirts for the sink to fully show off their charm. No matter the size – from tea cloths to dish towels – there is always a place for old decorative linens in the kitchen. 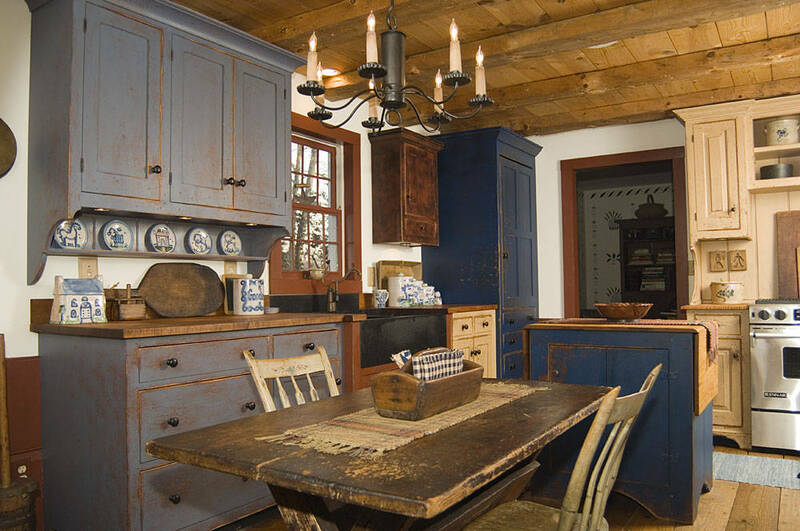 For a quick and easy classic look, simply add vintage appliances and accessories to the room. 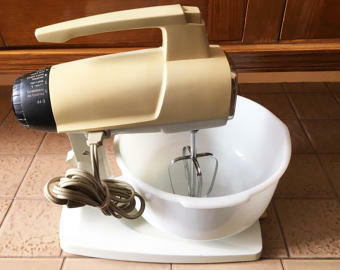 Look for old mixers and beaters, tools and utensils. Use original stainless steel appliances to compliment wooden cabinets in a way that is no longer the norm, rather a product of our beloved past. We hope some of these ideas have inspired you to go “retro”. What techniques have you applied to your kitchen to achieve a ‘vintage’ atmosphere?